I’ve been very good in the past couple of weeks and only spent money on the bare essentials: food, skincare I’ve ran out of and my Netflix account. However, the dangerous thing in this day and age is email. I can be happily going about my day when an email will land in my inbox and reel me in. Three words cripple me every time: BOOSTED STUDENT DISCOUNT. 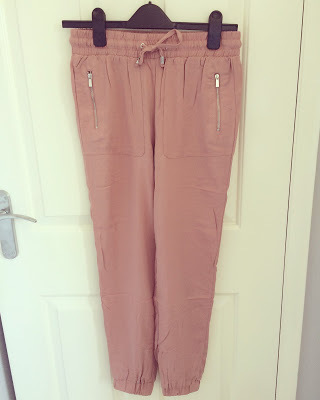 These pale pink joggers will be perfect for spring/summer. I have a similar pair in black that I’ve have worn non-stop for the past six months and thought it was about time I added another pair! These will look so cute with a plain white vest and some metallic shoes (pumps, heels and sandals). I just love how versatile they can be; you can wear them during the day with flats or on a night with heels and a blazer. Plus they’re great for when you go out for food because of their loose fit! 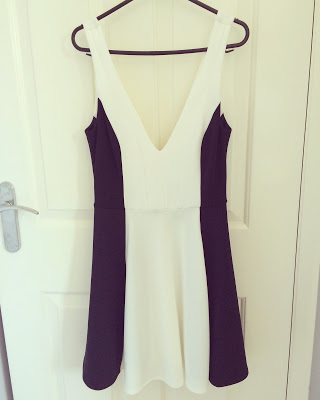 Another addition to my dress collection was this black and white beauty. I may have a few events to go to this summer and have always wanted a white dress. However, I gravitate towards black and white and this is such a great dress for me! 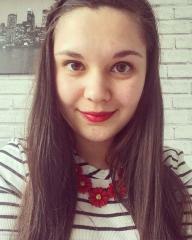 It’s quite cleavage-y though so I wouldn’t wear it for a family gathering personally! Oh look, more black and whites. 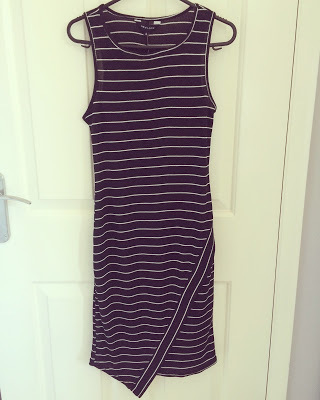 If it’s black, white and stripey, you can guarantee I will buy it. This dress is more of a day-time one, made out of t-shirt material. This would look great with sandals, pumps or sneakers. I think I’ll be wearing this when out shopping during the summer. 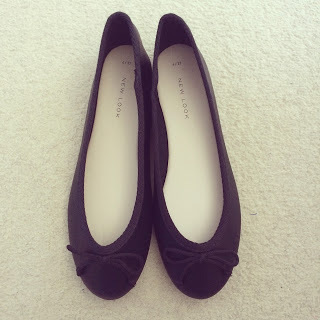 Trusty black pumps will always be a staple in my wardrobe. I have bought these flats before but because I lived in them for a year or so, the seams started to break and I think for £7.99, you really can’t go wrong. I usually don’t mind spending a bit of money for shoes but when it comes to pumps, I never bother! Have you done a haul recently? Spotted anything in New Look that you like? Comment below!